Sold by Cloudtail India (4.5 out of 5 | 73,171 ratings) and Fulfilled by Amazon. Gift-wrap available. 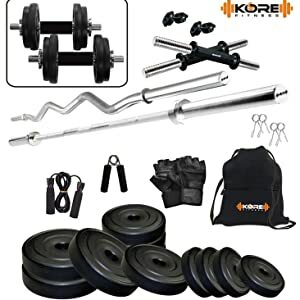 With workouts and fitness being an essential part of our day to day regime, Kore brings to you this Home Gym Set which has got an array of workout equipment to suit your workout and fitness regime. 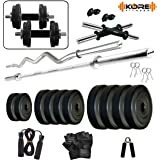 The gym set comes with different variants of weights, skipping rope, gym gloves, wrist bands, bars etc. 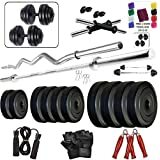 for a complete workout. 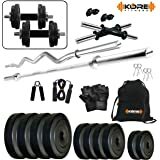 You can try different set of exercises and incorporate them in your fitness schedule with this Gym Set. 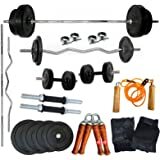 A variety of weight plates and dumbbells have been included in this Home Gym Set. 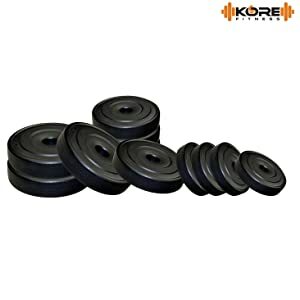 These weights help you in different levels of workouts and endurance training in your home or gym. 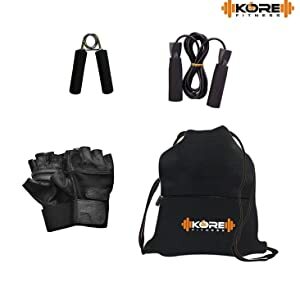 Workout with style, with this pair of gloves which is a part of the Home Gym Set. 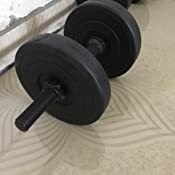 Gym gloves are an essential part of any workout or weight training since they help you to grasp the weights with much more hold and also provide resistance to any form of slips or jerks. 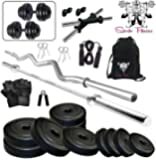 The Gym set also comes with gym backpack for your gym clothing, towels etc. 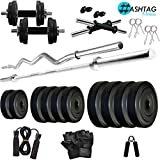 Three and half stars for weights and rods,half for hand gripper and zero for skipping rope, gloves and bag, could have included some useful items like push up handles etc insted of gloves and bag. Rods are some what rusty but good. 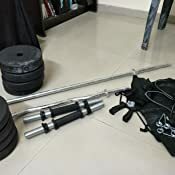 Product is good.. All things I received without any defect, over all value of money.. but one suggestion- Buy if you are beginners. 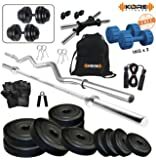 according to money product is reasonable, so I'm going to give 5 Star..
5.0 out of 5 starsNice product. Excellent delivery. All items are in place and in perfect condition. 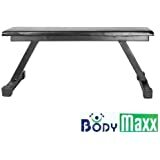 I like the overall quality and good value for money. Firstly i threw out the gloves. They aren't leather as claimed, but i was prepared for that. At such an affordable price, this is more than i could ask for. 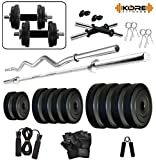 Love the weights , the rods the hand gripper, and especially the skipping rope. 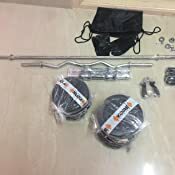 Everything was in perfect condition even though IT TOOK 2 WEEKS TO BE DELIVERED WHICH IS UNUSUAL. cloudtail usually delivers to me within 2 days. Nevertheless now that its here, i m making full use of it. Waste of money. 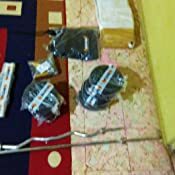 Don’t buy this, its of very very low quality, Plastic used is of very poor quality. Moreover recieved damaged product. Its a total waste of money. 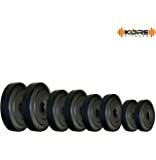 Affordable and effective product. Really loved the quality they are providing at this price. But the thing is after using for about 15 days the hand gripper broke.